When it comes to the foodservice industry, sanitation is number one. It doesn’t matter whether you’re working in a cafeteria, at a restaurant, or even in a food production facility. You need to be doing everything possible to keep the workplace safe and clean because the food needs to be kept sanitary. One of the ways that restaurants, factories, and cafeterias keep things neat and sanitary is with the use of hairnets and bouffant caps, worn by employees to keep their hair from risking a plunge into the food that they are preparing or creating. It’s a smart move and a legal requirement in many places, according to many local health departments. There are many styles of hairnets and bouffant caps to choose from, depending on your business needs. Thanks to the internet, it’s also easier than ever to get the items that you need because you can order them from foodservice supply companies around the country and around the world with just a few clicks. It’s convenient and simple to find what you need and you’ll never have to worry about getting to supply stores or dealing with the hassles of catalog ordering ever again. All that you have to do is check out the companies that you find and make sure that they have three things: the products you need, a reputable service background, and affordable prices on the hairnets and bouffant caps that you’re purchasing. Once you’ve taken the time to look up some foodservice supply companies online, you can check through their inventory to see if they have what you need. If they do, you can compare prices with a few different companies to make sure that you’re getting the best deals on these products, and then check out the reputation of the company that you’ve chosen to ensure that they are going to provide you with top rate service. It’s not that difficult to shop online for hairnets and bouffant caps as long as you know what you want or need and are willing to invest the time to find it. It’s convenient and easy to order online, which is why it is becoming so popular.Foodservice supply stores aren’t like chain retailers where you can find them all over the place. That’s why many companies have to go through the hassle of phone orders or catalog orders to get what they want. Fortunately, you no longer have to deal with that mess if you don’t want to, because you can find a great selection of products online that are affordable and easy to buy. When it comes to having a sanitary workplace and getting the products that you need to do so, the internet is a great place to turn to. 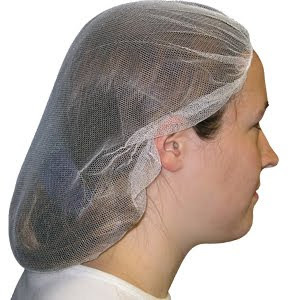 For more information or to order hairnets and bouffant caps for your business or foodservice operation, visit reliablepaper.com today.